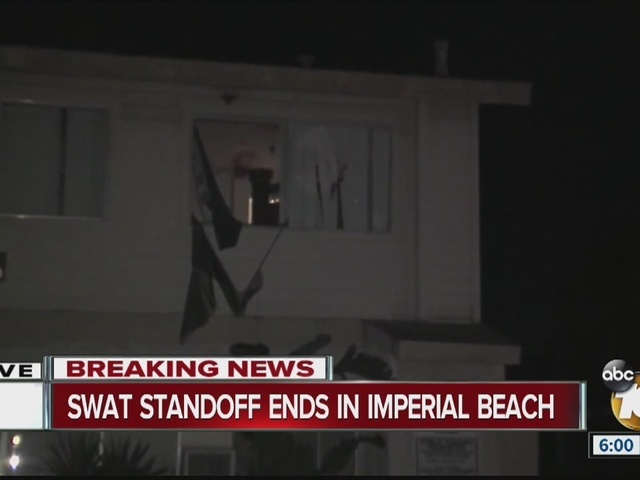 IMPERIAL BEACH -- A man suspected of stabbing his wife refused to surrender, and was later found dead inside an apartment after a SWAT standoff that lasted hours in Imperial Beach Sunday. 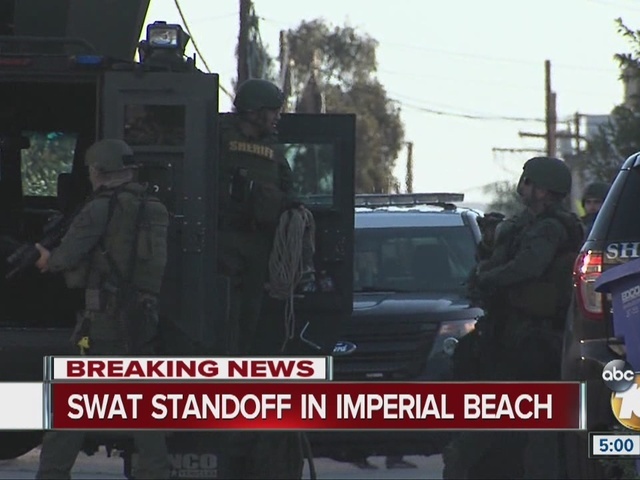 The SWAT unit and deputies spent hours trying to make contact with the suspect, whom the Sheriff's Department identified as Aurelio Perez, said spokesperson Jan Caldwell. Perez was armed with a knife and would not leave the residence on the 500 block of Florence Street, Lt. Jim Walker said. Deputies fired tear gas canisters and a flash grenade in attempts to get Perez out of the apartment. Deputies said Perez's wife was stabbed several times. She was taken to a hospital with non-life-threatening injuries. 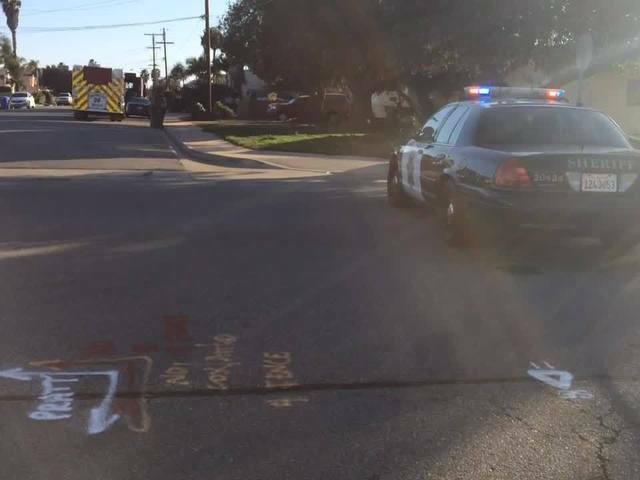 Homes next to the one where the suspect was hiding were evacuated, and Calla and Cypress avenues were closed, the Sheriff's Department said. A robot eventually entered the home and found the suspect dead. No other details were immediately released.